By J.P. Holding| When Star Trek: The Next Generation first made its way across the airwaves in 1987, the concept of the holodeck added a new plot twist. Occasionally a new scene appeared, you would watch, get wrapped up in what has happening, only to have one of the characters suddenly say “Computer, end program”. The scenery would disappear, and you would realize that what you had just seen was nothing more than a computer simulation, not a part of the real story. One particular member of the crew, Lieutenant Barclay, became especially addicted to it because it allowed him to escape from the real world where he was a nervous, socially incompetent wreck. In the holodeck, he was incredibly brave, an expert swordsmen, and the lovely Counselor Troi’s object of affection. 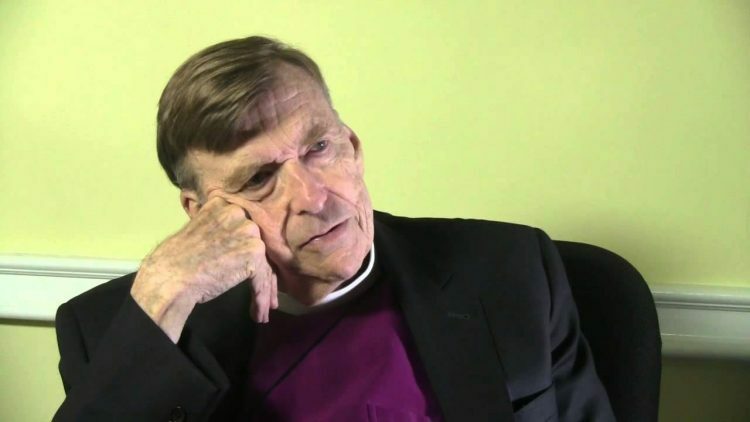 I’m afraid to say it; after reading John Shelby Spong’s latest offering, Why Christianity Must Change or Die (San Francisco: HarperSan Francisco, 1998) it appears that the Episcopal Bishop of Newark, New Jersey has suffered a similar fate. Perhaps more than any of the Rogue’s Gallery members, John Shelby Spong’s view of the world, his opponents, the current intellectual climate, and his own self-importance are so out of touch with reality that “distorted” doesn’t even begin to describe it. “Revealingly hostile?” Did Spong ever bother to read them? Does he seriously think that his own books aren’t filled with hostility? One does not get very far in virtually any of his books without him describing his opponents as ignorant, intellectually incompetent, fearful, racist, and all of the other names that the politically correct like to use when they have nothing of substance to offer. Without academic merit? Well, Mr. Spong, how about actually refuting what they have written and actually (egad) demonstrating how they are without academic merit? This, of course, is too much to ask. What makes this particularly humorous is his assertion that evangelicals “refuse to engage in debate.” (p. 41). That is exactly what they are doing in producing those books. Maybe this is the impression that Spong gets because of the level of opponents that he finds on Bill Maher’s Politically Incorrect, but serious scholars seek much more respectable venues to present their ideas. In the Holodeck, Spong is a serious scholar, his opponents are cowering in the corner at the very sound of his voice, and people are not attending church right now are going to come if we would only alter our beliefs to fit the modern mindset. The first two are down, the last we take a peak at now. “The words of the Apostle’s Creed, and its later expansion known as the Nicean Creed, were fashioned inside a worldview that no longer exists…..The way reality was perceived when the Christian creeds were formulated has been obliterated by the expansion of knowledge. That fact is so obvious that it hardly needs to be spoken.” (p. 4). The next 18 pages are a point-by-point analysis of all the phrases of the apostles creed, including the belief in a personal creator God, and the resurrection and virgin birth of Jesus. Each one is said to not be believable in the modern world. Most of the assertions are arguments that reflect 1) moral outrage (suprise!) or 2) an anti-supernatural bias. We will touch on these issues in our response to the next chapter. 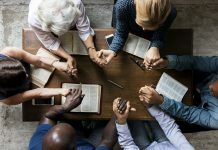 For now we simply note Spong’s main point is that modern Christians, as well as the unchurched, are torn between the need for spiritual significance and answers, and being unable to believe the things that the church has traditionally taught. But are they? In his book The Empty Church, Thomas C. Reeves offers very persuasive data that they are not. If the traditional Christian worldview has been torn apart by the extension of knowledge, very few have knowledge of it. Again, this is not the view of the Biblical writers, nor is traditional Christian belief dependent on it. The biblical writers’ view is that mankind is by nature insignificant in the universe, and they are amazed that God chooses to involved in human history in spite of it (cf. Ps. 8:3-5). This is nothing but an Aristotelian cosmology that was dogmatized in post-Biblical times. We’re not off to a great start so far. We could agree with the assertion that some things previously attributed to God or the supernatural do now have natural explanations, but the objection that the miraculous has faded because we concede this is quite off the mark. From the notion that SOME things attributed to miracle are now known not to be miraculous, it hardly follows that ALL things attributed to miracles have naturalistic explanations. It is also worth noting that Galileo and Newton never drew the slightest connection between their discoveries and the overthrow of the Christian worldview. Next up, it was Darwin. This had the effect of showing us that we were not the crown jewel of God’s creation. And though the Christian church “resisted Darwin with vigor,” they lacked the power to do anything about it. They also could work because a creator decided to make some species of animal in a physiological form similar to humans. 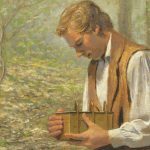 To decide that He wouldn’t do is to make a psychological evaluation of the supernatural creator, which, we are told so often by this camp, is supposed to be off limits to science. And besides, should we believe that because a battery from a Toyota Tercel will also power a Corolla, the Corolla must have evolved from the Tercel? Moving to the field of psychology, Spong holds up the ideas of Sigmund Freud and Carl Jung. According to Spong, Freud exposed the oedipal nature behind much of traditional thought. He believed that the psychology of religion was based upon “the childlike desire win reward and avoid divine punishment.” and that “the Christian religion portrayed believers as children dependent upon the good favor of the divine punishment.”(p. 38). Jung saw Christianity as a religion that was necessary for consciousness to develop, but the time for it had passed. Well, apparently Freud didn’t consider the obvious alternative. Could it be that these elements are present in Christianity because, (gasp), that’s REALLY the way humans are, children who ARE under the rule of a heavenly parent who really does issue out rewards and punishments? Spong would no doubt rule this possibility out, but that leaves the question begged. And similarly, Jung only works if you follow the same lines, by assume a naturalistic, non-theistic worldview and assume that consciousness was something that actually DID develop over time. Simply presenting abstract psychological theories rather than hard data does not a case make. I could just as well argue that the thinking of Spong and his ilk is derived from the adolescent desire to want to do whatever one pleases and have no consequences for those actions. Einstein’s theory of relativity did not introduce relativity as “something present in all things.” In fact, as Dr. Jonathan Safarti of Creation Ministries International pointed out to me, Einstein’s theory itself has a built in non-relative component – the speed of light seen from the reference point of the observer. In any event, relativity has nothing to do with the questions that concern us here – it only has to do with statements about the physical, measurable universe, not about moral and theological claims. Unfortunately, some reactionaries on our side have made this leap, but it is an illegitimate one. Spong’s attempt to overturn the traditional Christian worldview does not succeed. Nonetheless, he presses forward, based on the assumption that he has. Because the theistic image of God (which he defines on p. 46 as a being who is external, personal, supernatural and “potentially invasive”) has been discredited, Spong believes that a new idea of God needs to be found in order for Christianity to survive. One possible avenue is Buddhism. If Buddhists wish to define their god in such a way, I’m not going to quibble with them over whether they are atheists or not. What I do object to is the notion that this is a possible road that Christianity can go down and still be called Christianity. If Spong wishes to become a Buddhist, then he is free to do so. Just let him stop referring to himself as a Christian and change the title of his book be “Why Christians Must Convert to Buddhism”. “I define myself above all things as a Marxist. I am indeed a passionate Marxist. I am what I would call a Marx-intoxicated being. However, the words of the Communist Manifesto were fashioned inside a worldview that no longer exists. That fact is so obvious that it hardly needs to be spoken. It was assumed that people would still work even when there was no profit motive. We know today that that is not so. People are inherently lazy and will not work for the common good. It was also assumed that without competition and a profit motive, manufacturers would still produce quality goods. So while claiming to be a Marxist, and still asserting my deeply held commitment to Karl Marx as an economic genius, I also recognize that I am exiled from the literal understandings and world-view that shaped the Manifesto. There is no truth in Marxism if we can’t move beyond the socialistic economic models of the past. “Can one be a Marxist without being a socialist?” becomes a powerful question. If Marxism depends on a socialistic definition of Marx, then we must face the fact that we are watching this noble economic system enter the rigor mortis of its own death throes. These notions, of course, are nonsense. If one holds to the principles of free-market capitalism such as I described above, then one is by definition not a Marxist. But somehow when someone tries to engage in similar mental gymnastics to redefine Christianity, he is welcomed as a courageous, enlightened thinker. We will defer the question on why this is so until the end; for now we continue. 1. 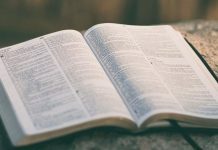 Paul was more concerned to proclaim his experience of Christ than to explain Him and does not use the later classical theological words used to explain Christ. And what of it? 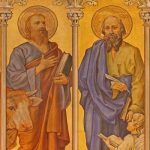 Paul, rather than “still processing his experience internally,” was dealing with questions in the church that were more practical, rather than Christological, in nature. And furthermore, as Spong himself admits (p. 74), Paul does not completely avoid trying to “explain” Christ. In fact, Romans is a lengthy and detailed theological explanation of Christ and the meaning of his work. Spong fails to appreciate this, I think, because of his own narrowing of what constitutes the “meaning” of Christ. We too believe this, though in a much different way than Spong does (Spong interprets Christ’s divinity as being part of the “infinity of God (that) can be found in the heart of human life.” (p. 131)). But the bottom line is that this is how Spong perceives the meaning of Jesus, and that forces him to miss that to Paul and the early Christians, His meaning covered more than one dimension than just His divinity. This is self-refuting. Spong’s own assertions amount to an explanation and a description of what happens when humans come in contact with “the divine” (as he defines it). His thesis is therefore a theological explanation and description itself, made with limited words. His description therefore cannot be literalized. And the statement “theological explanations can never be literally true” is part of that explanation. This makes that assertion not literally true, which in turn means that theological explanations can indeed be literally true. This is why it is particularly humorous to see him state that “this is an insight that today is still feared and resisted.” Why would anyone be fearful of an illogical “insight”? 3. The fact that the Hebrews used an impersonal term for spirit proves that they were struggling with the tension between theistic beliefs and nontheistic experience. Talk about a humoungous logical leap! In the pre-atomic age, the most powerful forces that these people would have been exposed to would naturally have been the impersonal forces of nature, so it is not suprising that they would have likened the force of God’s presence to the most powerful things that they experienced. Likewise, today the phrase “I don’t want to steal Ted’s thunder” is used to describe a statement or thesis that Ted is going to present, the force of which is powerful, so it is likened to thunder. Using Spong’s logic, we would be forced to conclude that the use of “thunder” to describe Ted’s thoughts mean that we are struggling between the tension that we conceive of Ted as personal and our experience of him, which indicates that he is not. Well, then, this is self-evident, even to Spong. Humans are beings who do very bad things. 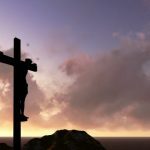 How then can the doctrine of sin be nothing more than a manipulation tool of the ecclesiastical powers when it is such an obvious description of the human race? And what excuses his critique of human behavior from being labeled as guilt manipulation? 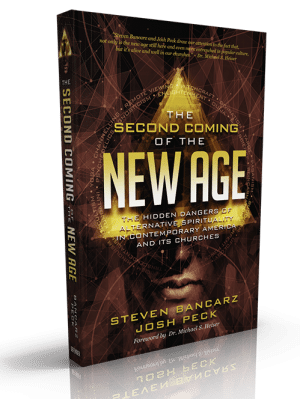 In his chapter “A New Basis for Ethics in a New Age,” Spong argues that the Bible’s commands are irrelevant to modern life, or are so offensive that they cannot be followed by people in this age. 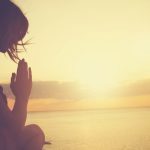 It is just as well; the removal of an external deity from our worldview has left us without that basis for determining what is right or wrong. So how does he deal with this? This begins to unravel into a sea of contradictions once it is closely examined. The problem is the assumption that people will agree on what “wholeness” is and what causes it. A few sentences later Spong appeals to “The data of human experience”, assuming that this is a uniform thing. Let me demonstrate; As of this writing, I am nearing 30 years of age, single, and still a virgin. To me, it is the abstaining from sexual immorality that brings me “wholeness.” I am not less (and in many cases more) happy and well-adjusted than the vast majority of other people around me. And yet Spong says that I am not “whole.” Who decides? Him or me? Or some psychobabbler? And then there is someone who routinely engages in promiscuous behavior that Spong disapproves of. They can claim that Spong’s decrying of their hedonistic actions is “repressive” and that it denies them “wholeness.” How does Spong prove that it isn’t so? They might even say that Spong himself is repressed and lacks “wholeness” because he doesn’t engage in that behavior. Who decides? Him or them? Spong’s system also gets him into trouble with his own beliefs. He states that “there is an objective wrongness in seeking to cause pain in another life. (p. 162).” But does that apply to burning the skin off of unborn babies, puncturing their skulls, or dismembering them with a vacuum, all without any kind of anesthesia, no less? Nope. Spong is pro-choice all the way. Why not just drop the bomb on all of the starving countries in world? Failing to do so only guarantees the death of the next generation. I guess that the morality of such nuclear restraint becomes questionable! The conclusion is obvious; Spong’s basis for ethics is no basis at all. It only further reveals the bankruptcy of his own theology. Ha! Ha! At the expense of life and creativity! I’m afraid it’s been a long, long time since Spong has been a parent of young children. So I guess we just let junior display his “creativity” in Crayola all over the hallway wall? Does pulling his sister’s hair get put under the “life expression” category? Besides being an “argument from outrage”, Spong has previously removed sin from the equation, which makes it consistent. Sinners deserve to die. Any time that is given beyond a sin committed is an act of grace, not a right. If God grants one person more time, but not another, the one who dies sooner does not get less than what they deserved (which was nothing). Indeed. People are always going to experience difficulty when we engage in double-speak. Yes, dismissing Jesus is hard to do. He is compelling. If he were not so, books written about Him would not continue to be produced at the astounding rate that they are. The vast majority of people are reluctant to say bad things about Him and usually find at least something in His teachings that they find to be noble and good. What Spong has done has simply interpreted the motifs of the Christian experience that He finds agreeable and decided that that is what lies at the core of that truth. The hypocrisy here is that earlier he has made the charge that God was made in our image, rather than the other way around. The ideas that Spong presents were proposed 100 years ago. And they have proven themselves to be false. After all, what would we think about someone who still claimed that the automobile was still a passing fancy? A couple of observations on why Spong’s ideas won’t succeed. Spong is proposing changing Christian thinking to match that of the society at large. Well, the society at large is already able to think as they do without the church. Obviously, they don’t need it. Oh, Spong might say, they do need it. They need it to find meaning in their lives, to find out what makes them whole. They are seeking for meaning, purpose, and spiritual significance. So, even Spong thinks that his theology will not ultimately be compelling. It is a pity that he can’t realize that it isn’t compelling now. Those of us who do have our choice of seats on the bandwagon before the big rush. 1. [Beh.DBB] Behe, Michael. Darwin’s Black Box. New York, The Free Press, 1996. 4. [Gar.CHW] Garrity, John A. and Gay, Peter (eds.) The Columbia History of the World. New York: Harper and Row, 1972. 5. [Moo.CBBW] Moore, Peter C. (ed.) Can a Bishop Be Wrong? Harrisburg: Morehouse Publishing: 1998. 6. [Ree.EC] Reeves, Thomas C. The Empty Church: Does Organized Religion Matter Anymore? New York: Touchstone, 1996. 7. [Spo.LTG] Spong, John Shelby. Liberating the Gospels. San Francisco: HarperSan Francisco, 1996. 8. [Wri.WWJ] Wright, N.T. Who Was Jesus? Grand Rapids: Eerdmens, 1993. 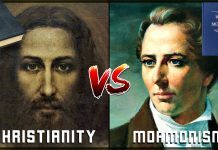 Previous articleIs Karma Real & Compatible With Christianity? 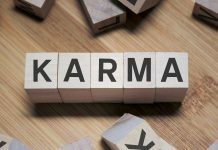 Is Karma Real & Compatible With Christianity? 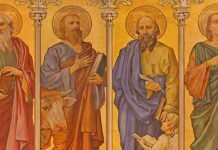 Is The Gospel Of Thomas Authentic?